UPDATE!!!!! 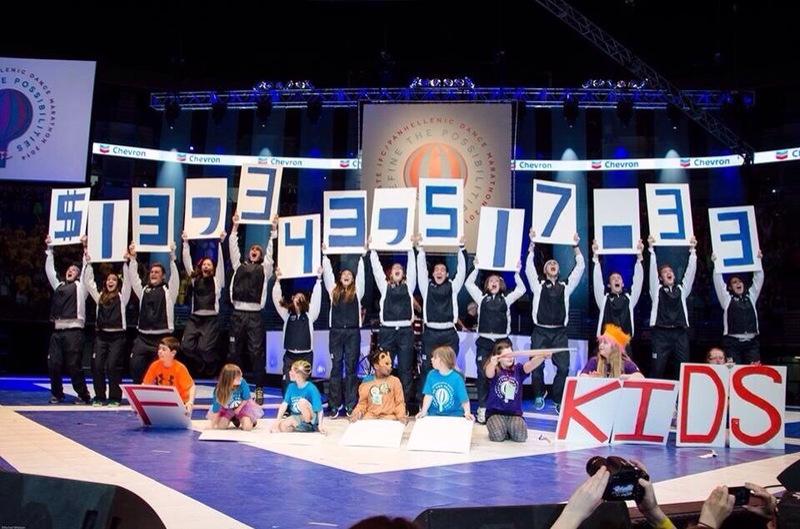 :::: THE 2014 THON TOTAL IS::::: 13,343,517.33!!!!!!!!!!!! OH MY GOD!!!!!! FTK!!!! The picture you see above is remarkable. 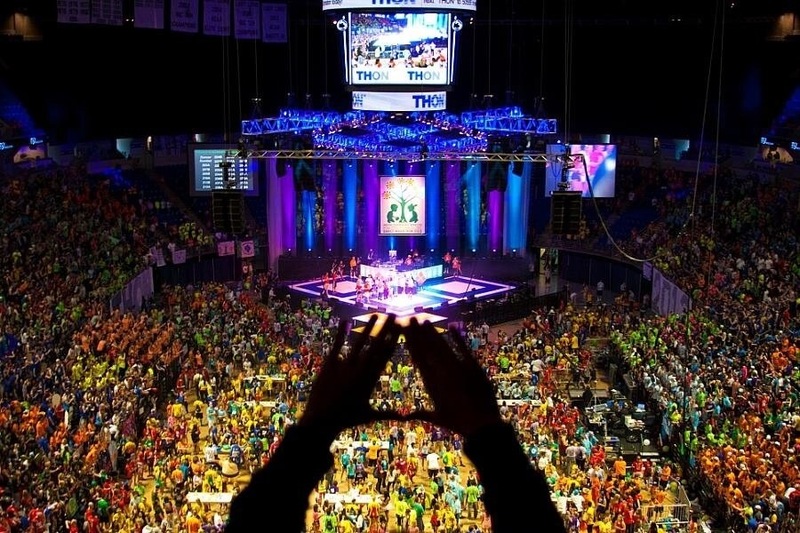 Yes, the scene itself is colorful and the room is massive, but, there is more to this picture than what meets the eye, especially if you yourself have never been to THON. So what is THON? The Penn State IFC/Panhellenic Dance Marathon, THON, is a two-day Dance Marathon that takes place every February at the Pennsylvania State University in University Park with the purpose of raising money to combat pediatric cancer. It was started in 1973 by the university’s Interfraternity Council, and in its first year, more than $2,000 was raised, with 39 couples dancing for 30 hours straight. Today, it is the largest student-run philanthropy in the world, by involvement and revenue with $10,686,924.83 having been raised at the 2012 event. The money that is raised is donated to The Four Diamonds Fund, a charity devoted to defeating pediatric cancer through research and caring for patients at the Penn State Hershey Children’s Hospital. More than 15,000 students get involved in the event each year, organizing it and raising funds with the rallying cry, “FOR THE KIDS!”. Above all, THON is a movement and a commitment that we will find a cure for cancer and together, there’s no limit to what we can do. THON is a large group of driven students who are loving beyond themselves and are standing up for life. They’re standing up to cancer and telling it that it has met it’s match. 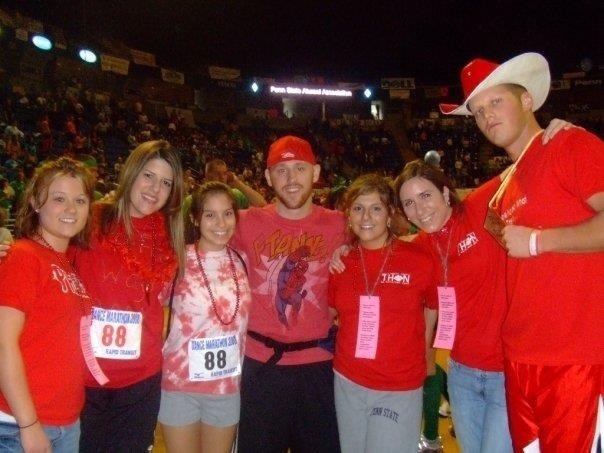 I had the honor in 2008 to be a dancer in THON and it has changed my life. I danced 46 hours straight, no sitting or sleeping, in support of our THON child, Jason Swope. 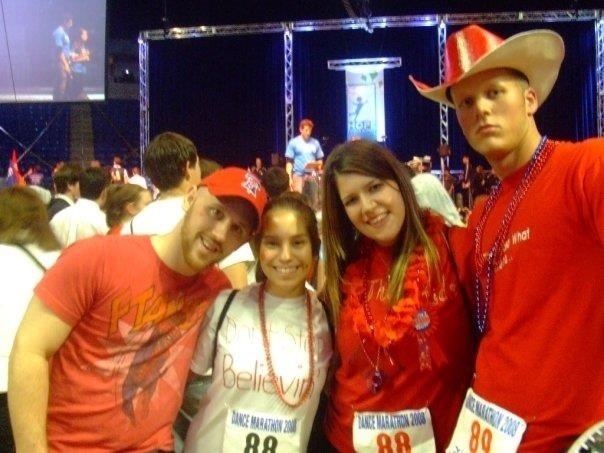 Jason’s battle with cancer was a long, uphill battle, and so I was honored to represent him and his amazing family THON weekend and ultimately, my entire time at Penn State (and beyond). The bonds I created and the amazing people I met because of THON is something I will be forever thankful for. When you have such a positive force in your life, you cherish it and want to pass it forward to others. I encourage you, strongly, to visit THON.org and webcast.thon.psu.edu/ and become inspired!! The students of Penn State have it figured out. When given the opportunity to influence the life of another, seize the moment. You get out of life what you put in it. To all THON dancers, I’m so proud, and commend all that you’re doing this weekend, and the year round efforts you put in to make this event as successful as it is. YOU ARE Penn State! For The Kids, For Life, Until we find a cure, we dance. Stay tuned to find out the total for this year!!!!!!!!! Coming to you at 4:00 pm today!!!!! AHHHH! This just in!!!!!! 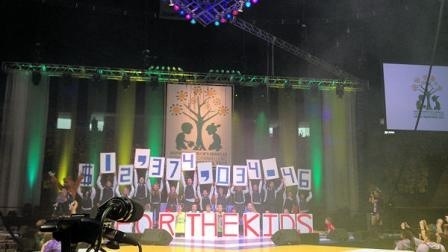 THON raised 12.3 Million this year!!!!!!!! Amazing!!!!!!! Fight on State!!!! I posted this on my Facebook a few days ago, and since doing so, I’ve gotten a lot of feedback from my friends and family that they really liked it and re-used it in different places! Some reposted on Facebook, some on Instagram or Twitter, and one even made it the background on his phone to have as a daily reminder and motivation. What is this quote saying and why is it so likable? For me, it’s because it gives hope and inspires you to surround yourself with the POSITIVE thinkers, and those who live a life of DOING rather than letting life pass by. 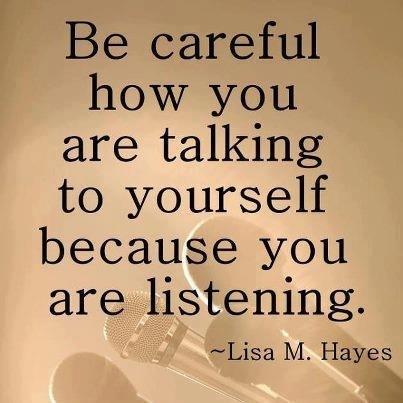 Who do you surround yourself with? How do you feel when you’re around this people? While it might sound like a trivial question, think about it. Do the people in your life lift you up and want the best for you?… Or do you find yourself being dragged down by them and their weight (drama, baggage, negativity, etc)? 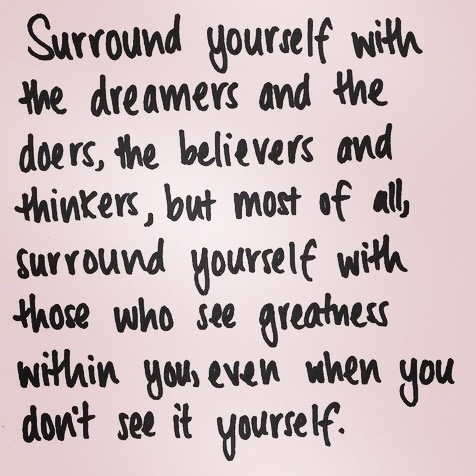 As it says, SURROUND yourself with the dreamers and the doers. Who in your life is seizing moments and opportunities as they arise and live life to the fullest? Who’s life do you want? Think about it that way. Who do you admire, want to be more like, look up to? Those are the people you should strive to be around. I once lead a discussion for formerly incarcerated people and recovered addicts that outlined the importance of weeding out the negative in your life. In this, we talked about how the negative people and influences in your life will always have a way of pulling you down, and making you believe (whether you realize it or not) that you’re not deserving, or able to find, anything better. There is nothing in your life that you don’t have the power to walk away from. Nothing. We will all have our moments. I do all the time. But when the people I care about have their moments, I make sure to be the one who reminds them of the greatness (good life, career, relationship, attractiveness, success, etc etc etc) and they would, and do, the exact same for me. The people who dream, believe, think and do are the ones who are LIVING. You too can do it, just make the decision to let go of the negative and move forward. It really is that, easy.